Jumprope Kids - this design features a group of children and their dog jumping rope on top, with the newborn's name in a classic script font. A group of kids (plus dog!) 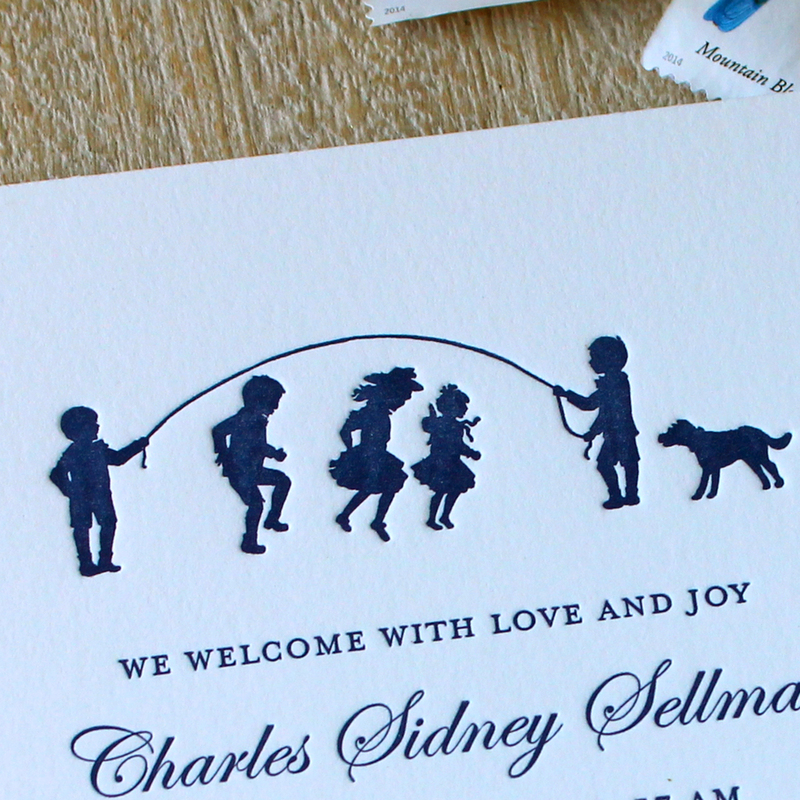 look adorable playing jump rope at the top of this letterpress baby announcement. It's the perfect design for those who are adding a newborn to their brood of children! We love the combination of the cute silhouette with simple type and the name in script. Print this baby announcement in any color, although we're partial to navy blue.